Adrienne LaGier Forgette – 2012 CNN Fit NationTriathlete » Adrienne LaGier Forgette is a CNN Celebrity triathlete. 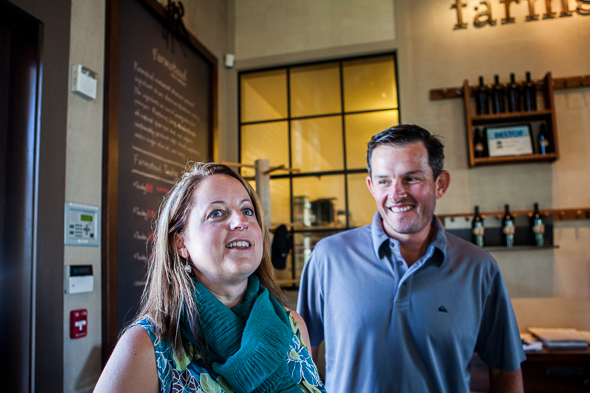 Adrienne LaGier Forgette and her husband Chris Forgette visit Napa Valley during their honeymoon following the Nautica Malibu, California triathlon. Adrienne participated on the CNN Lucky 7 team with Dr. Sanjay Gupta. This entry was posted on Thursday, October 11th, 2012 at 9:09 pm. It is filed under . You can follow any responses to this entry through the RSS 2.0 feed. You can leave a response or trackback from your own site.